After a historic dry stretch here in California, the skies are full of sweet, sweet rain. Almost as full as our October/November newsletter, brimming with two months worth of water news! We check in with some familiar folks: following Team ASUNM to Irvine, California as they compete in the Solar Decathlon, and visiting a GREENheart Building installation in the Chicago suburbs that showcases the versatility of our HOG tanks in the hands of an experienced builder. Two separate reports highlight water’s value and risks to the U.S. water system from aging infrastructure to water-guzzling energy production methods. We’re back to the world of whimsy, and clever design with Lampbrella, featured in this month’s B.U.G. Design section. Come on and dive in, the water’s fine! 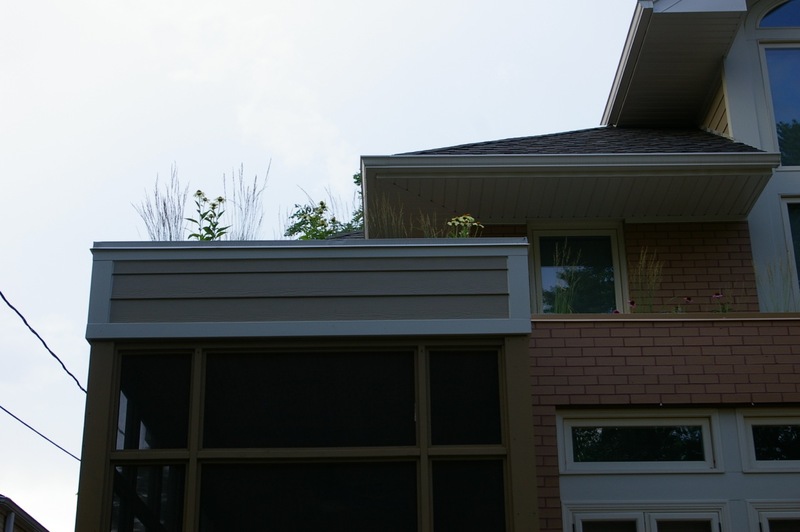 What happens when homeowners want to feed a green-roof with harvested rainwater, but their downspouts and gutters head straight down to the ground? 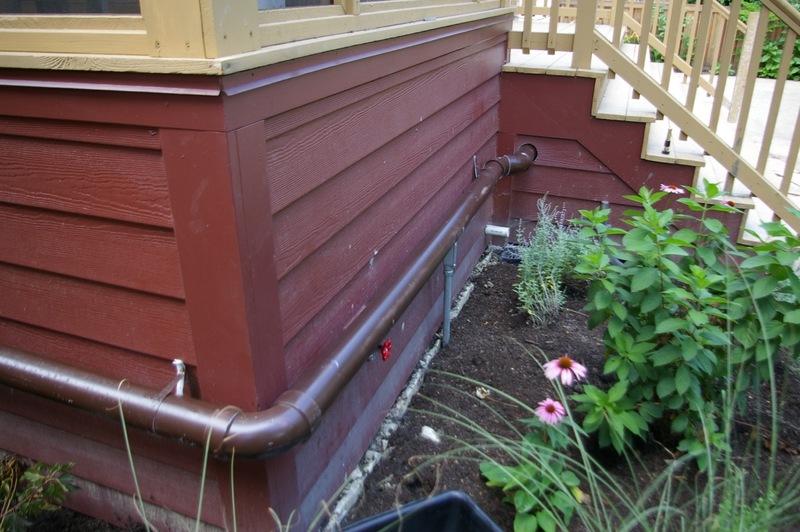 Well, the Alexander/Fuoss family called in Michael Ruehle of GREENheart Buildings Inc. to design an ingenious (and partially hidden) HOG system to capture rainwater and pump it back up to the rooftop garden. Take a photo tour with us! 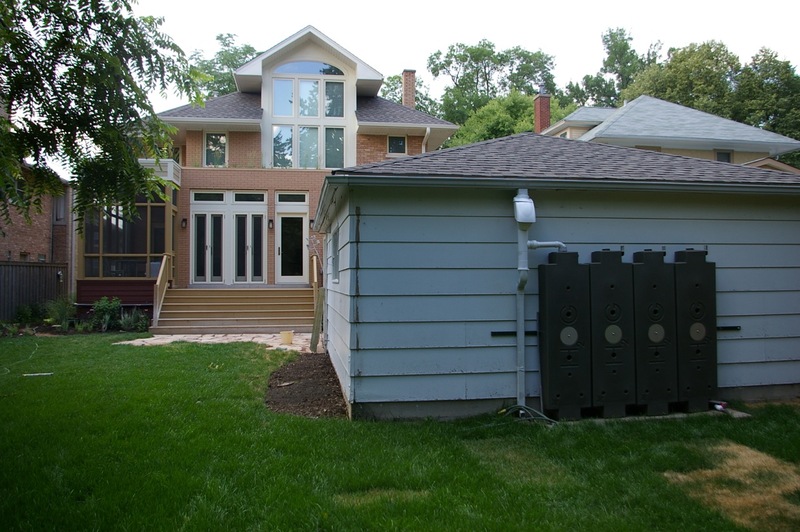 Eight HOG tanks have been installed at the Alexander/Fuoss residence in the suburbs of Chicago. 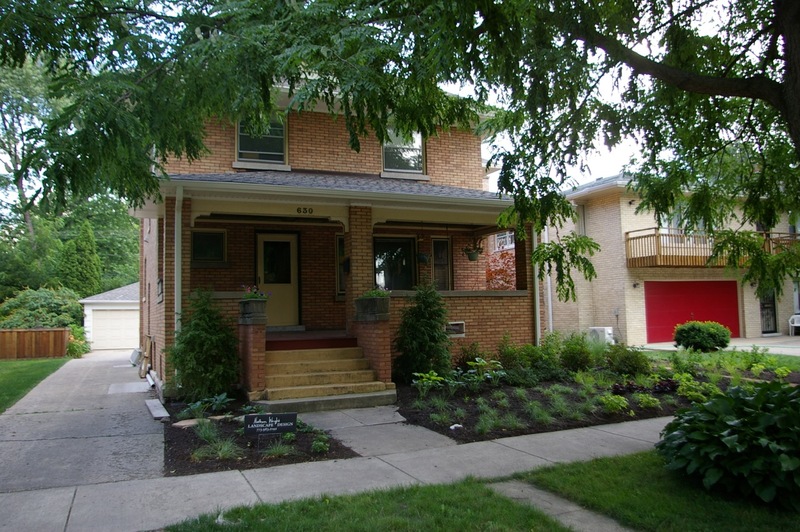 The front of the house, though, shows no sign of the owners’ water-wise installation. It’s only at the back of the house, behind the garage, that we see the first array of four HOGs that will be used for soaker hose irrigation of the garden. 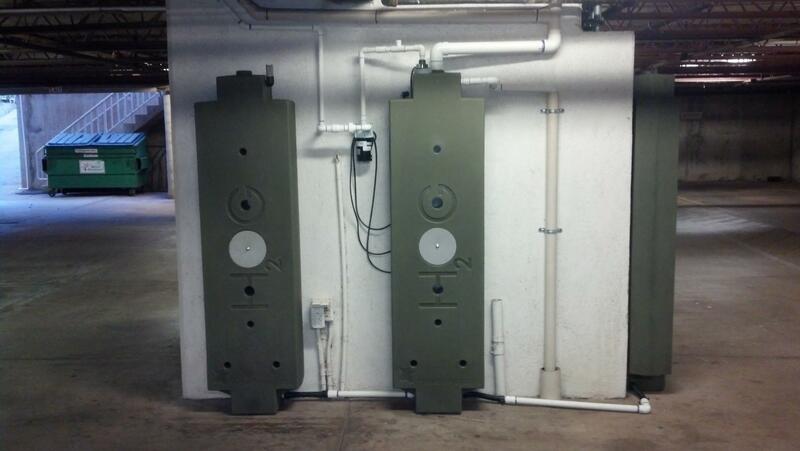 The mounting bar has been extended should the family decide to add two more HOG tanks to this modular unit. The backyard garden, with newly planted vegetation, holds secrets of its own. Four tanks are installed underneath the deck. 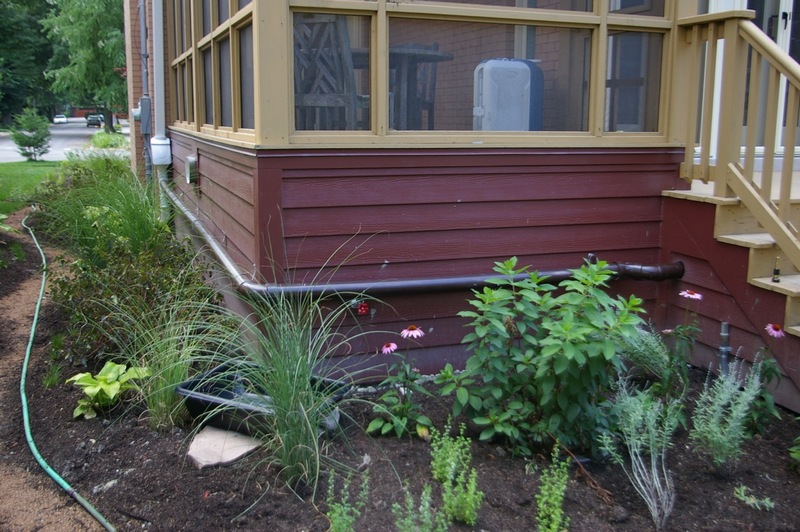 Captured rainwater heads north with an assist from a gravity feed pump to water the green roof above. The HOG tanks are under the deck and stairs. Concealed behind the green plant at right is a clear hose with a screen insert that allows the owner to see the water level in the HOGs. GREENheart Buildings has made a complicated solution look simple. We’re especially impressed with the installation that feeds this rooftop garden. Water is captured from about 1/4 of the total roof area, fed to four concealed HOG tanks under the deck, and pumped back up to irrigate the three garden areas on the roof. 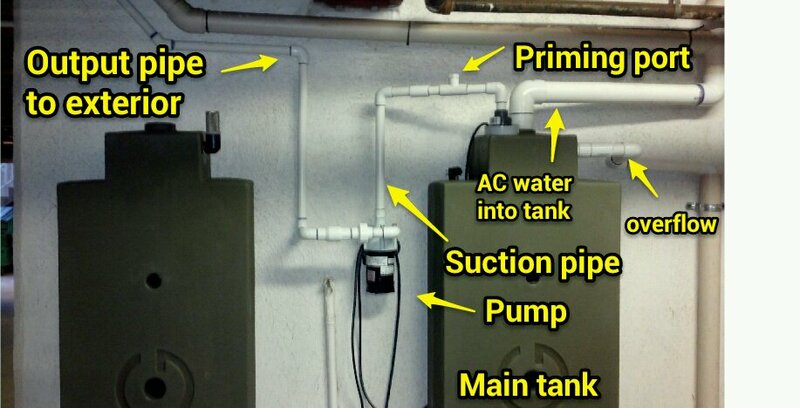 1)This ingenious install of HOG tanks includes two separate modular set-ups for one home. 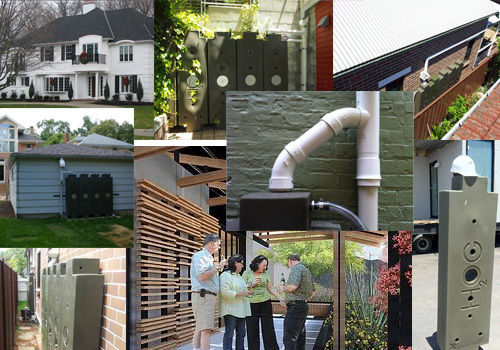 One system is installed horizontally, the other vertically – a nice display of what is one Rainwater HOG’s primary strengths in the rainwater tank market, a solid, elegant design that allows for multi-purpose, modular installs in tight space. 2) Basic common sense features for increased ease of use for the owners, like a manual timer pump and the screen insert for checking HOG water levels. 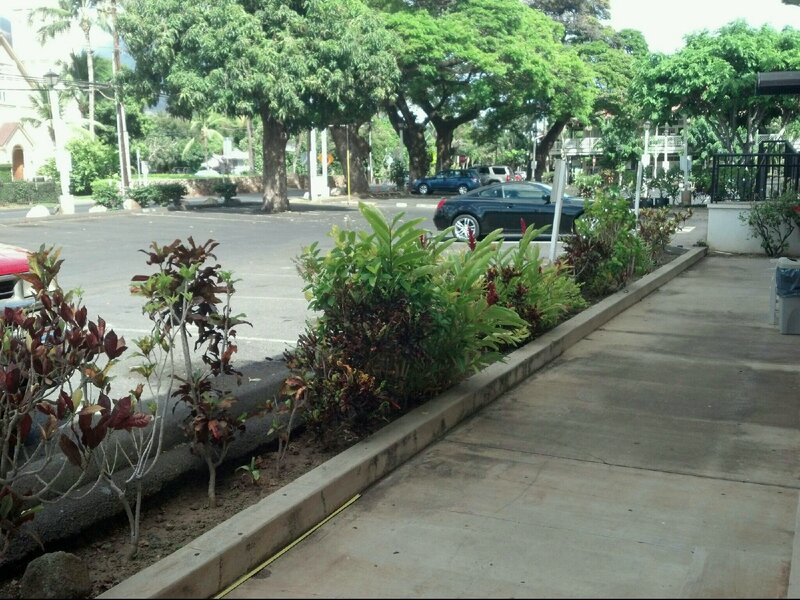 It’s this kind of attention to detail that distinguishes a high-level installation. 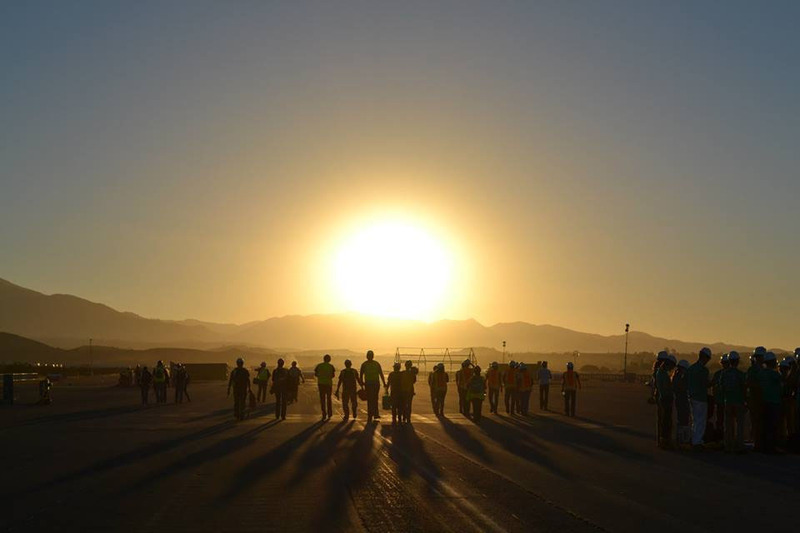 After scoring high marks at The Solar Decathlon 2013 (and receiving 6th place in engineering), the takeaway for Team ASUNM is, not unexpectedly, increased confidence in their green building skills and knowledge. Through designing and building their net zero-energy home SHADE, the students of Arizona State University and the University of New Mexico have a hard-won knowledge and appreciation of innovative building techniques to prepare them for careers as green building professionals. Thanks for taking HOG along for the ride, Team ASUNM! After the Solar Decathlon, SHADE will travel to Albuquerque and Santa Fe, where it will be showcased at the New Mexico state capitol for six months. It will then return to Phoenix, Arizona, where it will stay for three years as a part of the city’s Phoenix Renews development plan. The home will be a centrally located model for sustainable living in a developing neighborhood where other houses will be encouraged to go green.